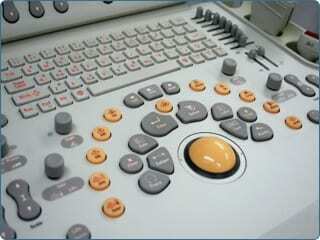 Ultrasound (sonography) utilizes sound waves to produce images of different body parts. Ultrasound exams produce no radiation to patients and are therefore preferred as the initial tests when possible, especially in young patients and children. For a study of the abdomen, patients are asked to avoid eating for eight to 12 hours before the test. For ultrasound of the kidneys or pelvis, you may be asked to drink four to six glasses of liquid about an hour before the test to fill your bladder.